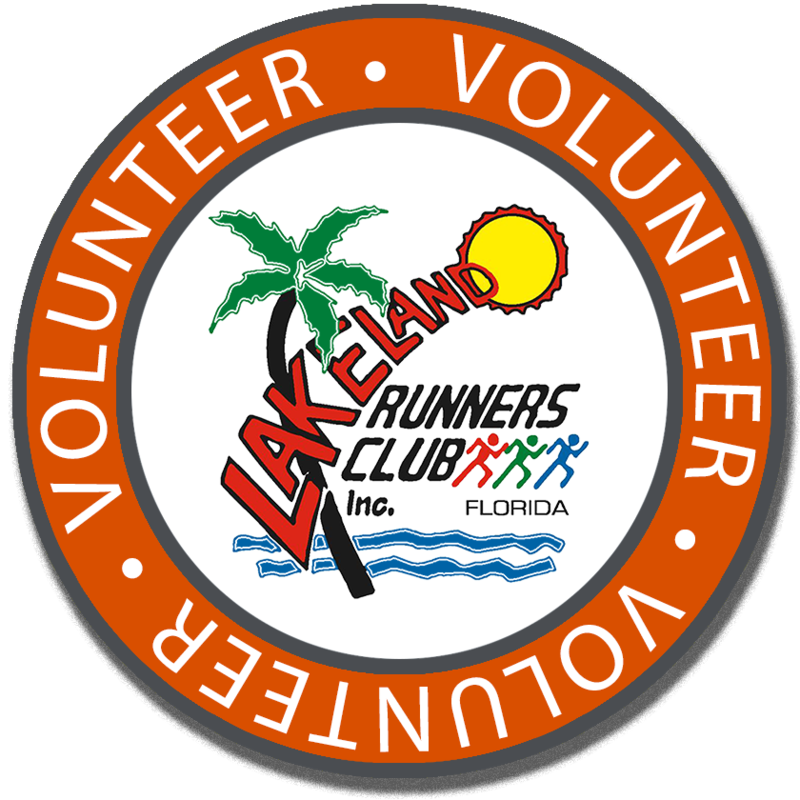 The Lakeland Runners Club Events is a 100% volunteer organization. Our races, training programs, group runs, and meetings would not be successful without the assistance of our volunteers. Volunteer opportunities are available for registration on our online volunteer system – Sign Up Genius. Volunteers for all events must be at least 14 years of age. Volunteers under 16 years of age must be accompanied by an adult. All volunteers must complete the Safe Sport Act Training. Volunteer assignments will be scheduled on a first come, first serve basis. Schedules are always subject to change due to event needs. Although every effort will be made to accommodate your selection, the volunteer team captain reserves the right to schedule volunteers based on event needs. LRC Members are eligible to earn LRC Outstanding Volunteer points when they sign in for their volunteer shift. Students are able to earn service hours as well, please present the service form at the volunteer check-in. Volunteers will receive a LRC Volunteer shirt at their first event, and should wear the shirt for all future events. New for 2019! Volunteers will receive a welcome packet at their first 2019 event in lieu of event shirts. This an initiative to reward members of the Lakeland Runners Club for participating and being more involved in club activities and events. Members who reach point benchmarks will receive rewards and be eligible for prize drawings at the annual December meeting. Points will be earned throughout the year from January through the final race of the season. In 2019, this is the Lake to Lake 10k on November 2. ♦ All new 2019 volunteers who reach 75 points will be entered into a drawing for a $75 VISA gift card. ♦ Earn 100 annual points – receive one Outstanding Volunteer gift. ♦ Earn 125 annual points – receive two Outstanding Volunteer gifts and eligibility for a drawing for free entry to all 2020 LRC races. ♦ Earn 150 annual points – receive three Outstanding Volunteer gifts and eligibility for the drawing for free entry to all 2020 LRC races and a drawing for free shoes for one year from FITniche. *Volunteer is responsible for signing in at all events. Race day sign-in sheets are located at the race day registration table.